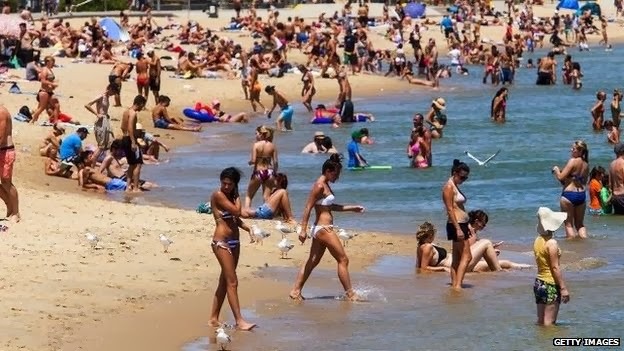 Australia at the point in time is in the grip of severe heatwave and rising temperatures may prompt fire alerts in many areas of South-east where temperatures have crossed 40C (104F). In order to avoid the heatwave, more and more people are hitting the beaches to feel the sea breeze and dip into the water. In Victoria, lightning strikes sparked more than 250 fires on Tuesday night, fire authorities said. A fire ban has been issued across the state.